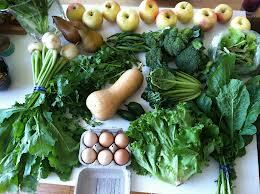 A study at Brigham and Women’s Hospital in Boston has shown that nutrition impacts eye health. 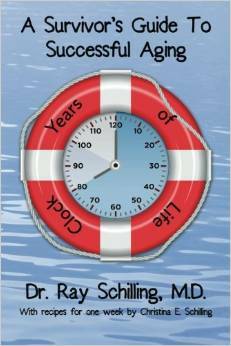 Over a stretch of 10 years Dr. William Christen followed a group of 35,551 health professionals age 45 and older. They provided him with detailed information about their dietary habits and vitamin supplements-they were permitted to take multivitamin but were requested not to take vitamin A, vitamin E or beta-carotene. None of them had cataracts in the beginning of the study, but 2,031 did develop cataracts during the follow up period. Dr. Christen and his team analyzed the data and found that those individuals who were the highest consumers of carotenoids- individuals with an intake of 6,617 mcg of lutein and zeaxanthin- were 18% less likely to develop cataracts than those who consumed only 1,177 mcg per day. Also, the group that consumed higher amounts of vitamin E (intakes of about 262.4 mg per day) was 14% less likely to develop cataracts. Lutein is a substance that is found in high concentration in eye tissue. It is readily available in many foods, such as green and yellow vegetables, yellow-fleshed fruit and in egg yolks. New research from the National eye Institute in Baltimore has also confirmed the benefits of carotenoids for healthy eyes. Lutein and zeaxanthin offer protection against age-related macular degeneration. There is no need to shop for supplements. Just bring on the green vegetables: broccoli, brussels sprouts, kale, collard greens, and spinach. Add some corn, the spice saffron and some eggs, and enjoy the taste and the health benefits. 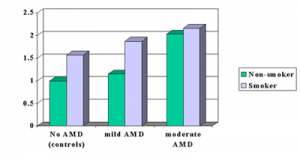 Age related macular degeneration (AMD) is one of the more frequent reasons for loss of vision in the ageing population. The disease is also the most prevalent reason for blindness in developed countries. A group of researchers from the Netherlands made it their mandate to investigate, in which proportion antioxidants were useful in the prevention of AMD. 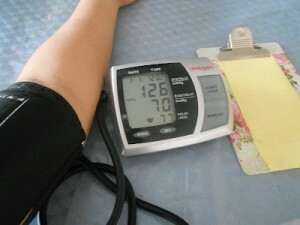 Supplementation with vitamins C, D and E was used and also beta-carotene and zinc. The observations were made using questionnaires from the Rotterdam Study (1990-1993). The group on which the research concentrated consisted of inhabitants 55 years of age or older living in a middle class suburb of Rotterdam. Of 5836 at the baseline with a risk of AMD 4765 had reliable data of their dietary habits. At the end of the study 4170 participated in the follow up. Dietary intake of vitamin E and zinc was inversely associated with the development of AMD: the group with an intake of vitamin E and zinc had less macular degeneration than those whose diet was deficient. A higher than median intake of all the four nutrients, vitamin E, zinc, vitamin C and beta-carotene showed even more benefit. 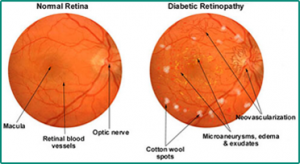 The risk to develop macular degeneration was reduced by an impressive 31 %. These results are of importance to the ageing population and the elderly. A high dietary intake of the four nutrients is important in the risk reduction of age related eye diseases like AMD. Allergies are often associated with watery eyes and sneezing, and in commercials that promote over-the counter anti-allergy pills (antihistamines) the effects are shown as merely bothersome. The commercials are often amusing. The facts for the allergy sufferer are neither amusing nor are allergies a minor bother. They have to be taken serious, as they can affect the quality of life and even be potentially life threatening. A very common plant that can be the culprit for serious allergies is ragweed. 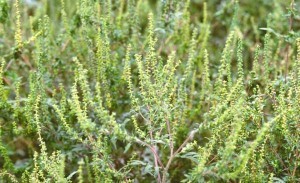 Two varieties of the plant are accounting for the worst problems, Ambrosia trifida and Ambrosia artemisiifolia. People who are sensitized to the pollen of ragweed have the most severe symptoms in the months of August to October. Nasal congestion, sneezing, a constantly runny nose and itchiness of eyes, nose and throat are the problems that are encountered by the patient, but asthma can be the more serious consequence. The quality of life in the peak season of ragweed shows significant deterioration for allergy sufferers, as nasal congestion alone is linked to poor sleep quality which in turn leads to decreased productivity at work or in school. A skin rash can be another form of an allergic reaction. It is the less common form of ragweed allergy, but left untreated it becomes chronic and progressively worse. Other herbal products (chamomile and arnica), which may be used as compresses and as an ontment, can cross-react with ragweed exposure and produce a skin rash or dermatitis. Adults are more affected than children, and people with outdoor occupation (farmers, gardeners, harvesters, carpenters) are the group most at risk. Unfortunately, ragweed particles are very small and very light, which makes it very difficult to avoid them in the peak season, but there are measures one can take to avoid exposure. The peak time of pollen exposure is in the middle of the day, and it is a good idea to keep the windows closed to prevent large amounts of pollen from drifting into your home. The use of an air conditioner in the car or at home can be helpful. After spending time outdoors it can be helpful to change into fresh clothes and perhaps even take a shower. Drying clothes on the laundry line in peak season should be avoided, as they are prone to collect large amounts of pollen. Timing vacations to leave ragweed-infested areas for other parts of the country can also help. 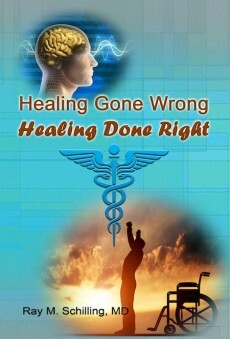 It is also important to take action as soon as symptoms are present. Letting things take their course, will just have a snowball effect. An allergist can do patch tests to determine whether there is a reaction to ragweed. If ragweed dermatitis is present, it has to be treated early on to avoid the difficult to treat chronic state, in which a lower UV threshold is also part of the condition. Decongestants may help with nasal congestion, but unfortunately they tend to cause side effects, such as sleeplessness and a rapid heart beat. The physician can point out the most effective antihistamine to the patient, and intranasal cortico steroids (INCS) may be preferable over oral antihistamines. Newer INCS medications have shown to provide quick control of nasal symptoms, and they can actually minimize the emergence of symptoms, if they are started before the ragweed season begins in mid summer. 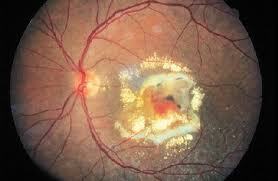 Age-related macular degeneration in the past meant blindness for the patient. In more recent years laser surgery could be a sight saver, but it also meant a more invasive treatment. The arrival of new anti-angiogenic drugs that can reverse age-related macular degeneration has received a lot of attention at the recent Schepens International Society ophthalmology meeting. The new drugs Macugen (pegaptanib sodium injection) and Lucentis (ranibizumab) were showing that they stopped the disease in 95% of cases. They were injected into the vitreous of the eye, and the vision of those patients who took it, actually improved. Macugen has been approved by Health Canada and will be launched for use in September 2005, according to Pfizer, the company behind the drug therapy. The research goes back to the 1970’s with the discovery of a process that forms new blood vessels in the body allowing tumors to thrive and metastasize. This research revolutionized the understanding of cancer. 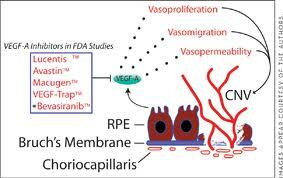 The new anti-angiogenic drugs fight a protein that induces angiotensin and is responsible for the abnormal blood vessel growth under the retina. This blood vessel growth causes macular degeneration (the wet form). Up to now age-related blindness or “age-related macular degeneration” (AMD) as it is medically called, has been a mystery. The retina is the light-sensitive area of the eye similar to the film in a camera. The “macula” is that part of the retina that has the highest visual acuity. 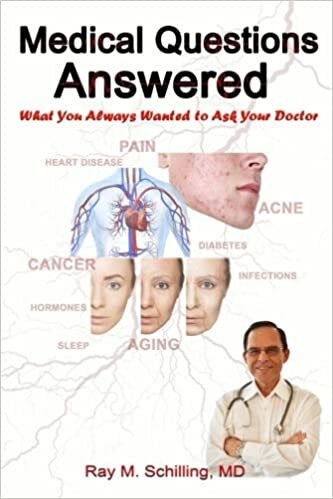 Several studies have been conducted lately regarding age-related blindness that shed more light on this important health hazard of old age, studies that one day might even lead to a cure or powerful preventative measures to avoid it from ever developing. One such study is the one by Dr. Johanna M. Seddon and co-workers published in the Feb. 11, 2004 issue of the Journal of the American Medical Association. Almost 1000 patients with various degrees of age-related degrees of blindness from the Age-Related Eye Disease Study (AREDS) were classified by the degree of their macular degeneration. I have produced the bar graphs below based on these studies. 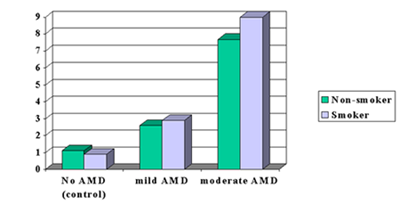 Four groups were defined, namely those with no AMD who served as controls, those with mild AMD, those with moderate AMD and those with severe AMD who were legally blind. 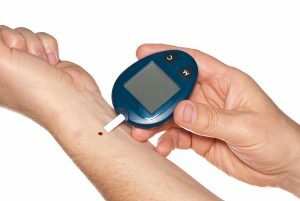 They suspected that an inflammatory marker in the blood stream of these patients, called C-reactive protein (CRP), might be present in the more severe cases of blindness when compared to the control group who did not have any inflammatory changes in the macula. As can be seen by the bar graph above this is exactly what the test results indicated. They also found that smokers (blue bars) tended to have slightly worse blood tests in terms of CRP (more inflammatory substances circulating in the system) within the same severity category of the age-related eye changes. When the investigators studied the risk for the highest percentile of the CRP tests within various subgroups to show AMD they found several differences as is shown in the next table. First there was a low probability to develop AMD in a person with a normal looking macula and that risk was set at 1.0 as comparison. In contrast a person with a normal looking macula who smokes has a 1.5-fold risk of developing AMD later. Patients with a moderate degree of AMD have about a 2-fold risk of getting a severe degree of AMD later (smoking or not). It seems that once the inflammatory cycle has started, the process of causing a moderate degree of AMD is so strong that the effect of smoking will not add that much in comparison. This is the first study of this kind that has established that CRP can be used as a screening for the risk to develop AMD. CRP has already been established as a test for monitoring progress in rheumatoid arthritis or to monitor for the risk of developing a heart attack or stroke. Another study by Dr. Johanna M. Seddon and co-workers was published recently in the Archives of Ophthalmology. 261 people aged 60 years and older with established AMD were followed for 4.6 years and checked for deterioration. 101 patients had deterioration of their AMD. The authors analyzed the patients’ diet habits and found that increased fat intake was a high risk factor for deteriorating AMD. Both vegetable and animal fat had a 2-to 3-fold increased risk for deterioration of the AMD to a more severe stage (legal blindness). Fish, omega-3 fatty acid and nuts had a protective effect, but only when omega-6 fatty acid (linoleic acid) intake was low in the same group. The studies showed that the risk of age-related blindness was reduced by 40% when patients ate nuts at least once per week. The authors concluded that a “fat conscious diet” would be good for “maintaining good eye health” and at the same time be beneficial for prevention of heart attacks and strokes. The authors will do further studies to investigate potential ways of helping patients with AMD and to understand the mechanisms of the disease process better.